Have you ever heard the old Irish saying, 'the bigger the hat, the luckier the leprechaun'? Neither have we! But we do, however, believe this phrase may hold some truth to it! Leprechauns are such little guys with such tiny hats and they are always getting snatched up by humans. That in turn, of course, leads them to lose all their gold. Those mischievous fairies have some of the worst luck, and we think it may have something to do with the size of their hats. Now then, check out this Giant Leprechaun Hat. 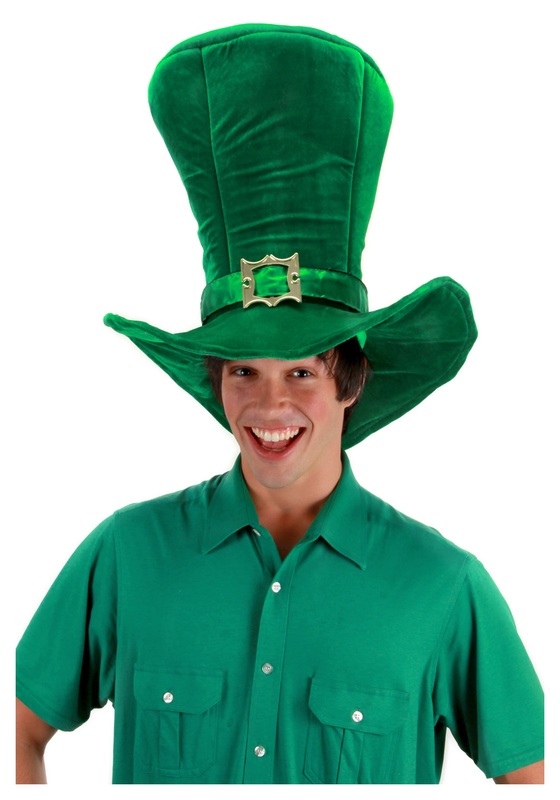 This green top hat is big enough to be an apartment complex for those puny leprechauns! There's no way you won't feel lucky when you walk around with this enormous accessory resting on your crown. Your friends will easily be able to spot you in a crowd this Halloween or St. Paddy's day. Then they too can enjoy the luck that radiates off of you and this huge hat. Be the luckiest leprechaun with the biggest topper and never worry about losing your gold or your lucky charms again!